The No. 3 seeded Portland Trail Blazers (53-29) take on the No. 6 seeded Oklahoma City Thunder (49-33) in a first-round playoff series that could feature a great deal of action from both sides. Now, normally a No. 6 seed doesn’t exactly stand a great chance to upset a No. 3 seed, but the Thunder aren’t exactly your traditional No. 6 seed. In fact, it’s definitely not crazy to think that Oklahoma City could pull off the upset in this series. 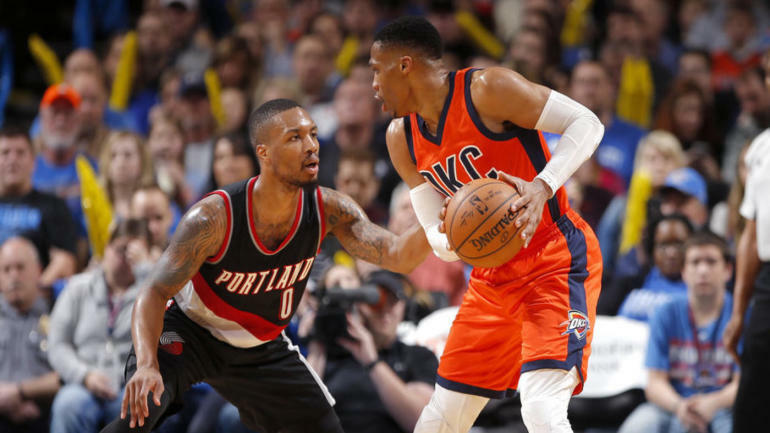 The Trail Blazers are dealing with a host of injuries, so the Thunder could certainly have a big advantage in the series even though they’re going to be playing the first two games in Portland. The dynamic duo of Paul George and Russell Westbrook could definitely prove to be the difference.